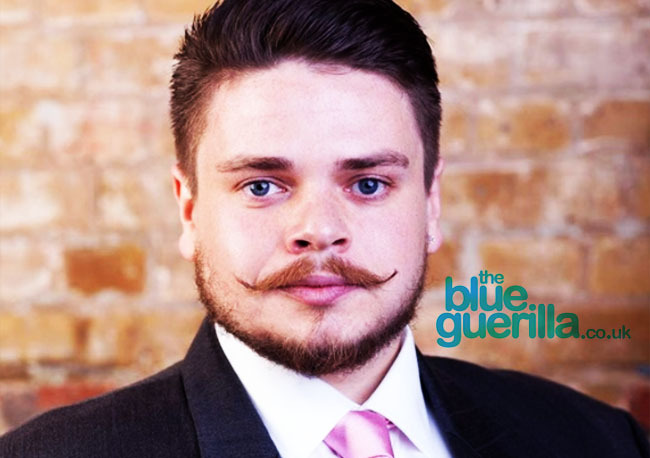 TheBlueGuerilla: EXCLUSIVE: McKenzie Set to Run For YI Deputy. TBG has word that Young Independence, the UKIP youth wing, is set to elect its first ever openly gay leader. Jamie McKenzie, the popular YI London chairman, is favourite to win the approaching national deputy leader competition. Paraphrasing the great Thatcher on his Facebook page, Mckenzie said "I don't think there will be a gay YI deputy chairman. Not in my lifetime..."
McKenzie is also thought to have the support of UKIP favourite Suzanne Evans who spoke of her "premonition" of Jamie being elected. Jamie’s victory would come as good news for the party after being ‘banned’ from this year’s gay pride. This website understands that Jamie’s only opponent will be Thomas Hoof, the former deputy chairman allegedly let go by Jack Duffin and replaced by paid staff. Sorry. Popular? Anyone who has met him knows he only has his own interests at heart. As for being good for the party due to the lgbt ban by pride, Jamie has never had, and never will have, anything to do with lgbt in ukip and actually has expressed his disdain for the group. It will be a sad and dark day for yi if he is elected.